Superdry women's Amanda cami top. 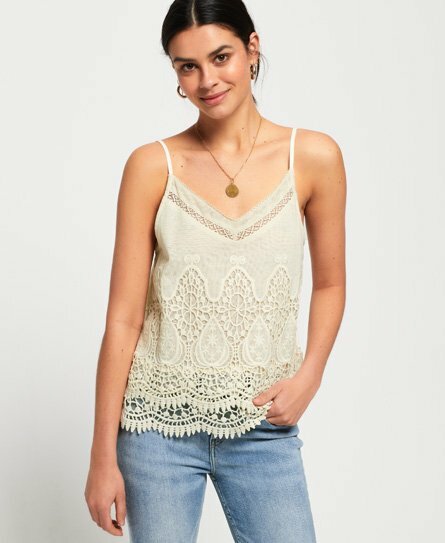 This top features a crochet design across the front, adjustable shoulder straps and a panelled design on the back. Finished with a metal Superdry logo badge on the hem. This top is perfect for the warmer weather and will look great paired with jeans or shorts.